Cleverti | Happy 19th birthday to google from cleverti! HAPPY 19TH BIRTHDAY TO GOOGLE FROM CLEVERTI! 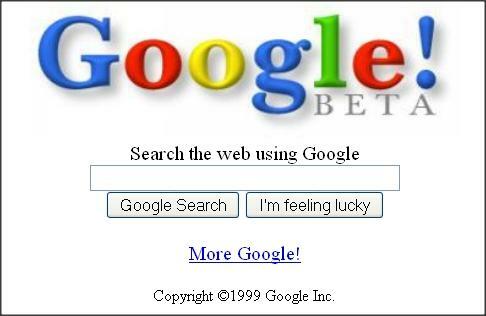 Can you imagine the internet without Google today? Nineteen years ago, two Ph.D. students at Stanford University thought they could organize the internet and make information universally available. After setting up their headquarters in a garage, the two started working on it. What seemed an insane idea has become the world’s most popular search engine with 4.5billion users in 160 countries. Behind it a $75 billion tech titan with over 70.000 employees worldwide. Google is also Fortune 100 Best Company to Work for six consecutive years and a rare example of a company whose name is commonly accepted and used as a verb – to google! Since the first real version of Google.com, a lot has changed in a path full of surprises even for founders Larry Page and Sergey Brin. Google’s 19th birthday is celebrated with an interactive Doodle that allows users to unveil hidden treasures developed by Google in the past nearly 2 decades. Based in Lisbon, Portugal, Cleverti provides software development, QA & testing and product support remotely to clients in a dozen countries. Many of the projects we develop come to us after googling. So happy birthday to Google from Cleverti!